Monday August 20, 2018 - Kirinyaga Governor, Anne Waiguru, has differed sharply with Deputy President William Ruto over the looming ban of export of raw coffee. Gatundu South MP, Moses Kuria, has already tabled a bill in Parliament that will see a ban on any export of raw coffee and this means that coffee will be partly processed in Kenya before it is exported. This, according to Kuria, will stabilise coffee prices and also create employment to thousands of Kenyans citizens. 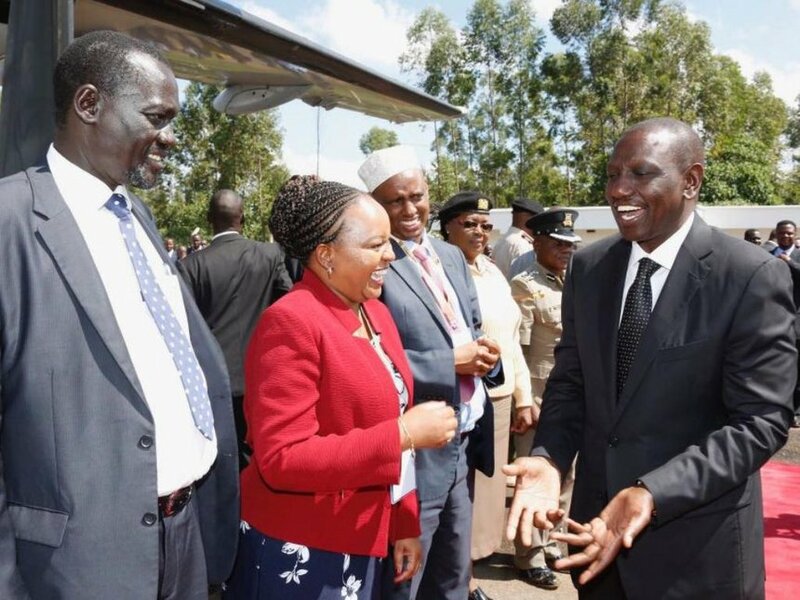 Ruto, who was speaking at General Kassam Stadium during Gichugu MP, Gichimu Githinji, homecoming ceremony, said the Government supports Kuria’s proposal because it will increase farmers’ earnings. “We will create jobs for our youth and increase farmers’ earnings,” said Ruto. Speaking to journalists after the event, Waiguru said that the problem facing the coffee sector was marketing and not exporting. “I am not opposed to processing of coffee but there must be a market first or else farmers will suffer huge losses since the shelf life of processed coffee is very short,” he said.